Building a business from scratch is tough, but taking over a popular institution can be even tougher. For Chris Henry, purchasing one of the oldest-run, family restaurants in San Francisco posed both a challenge and an opportunity to restore a historic building to its former Fishermen’s Grotto glory. 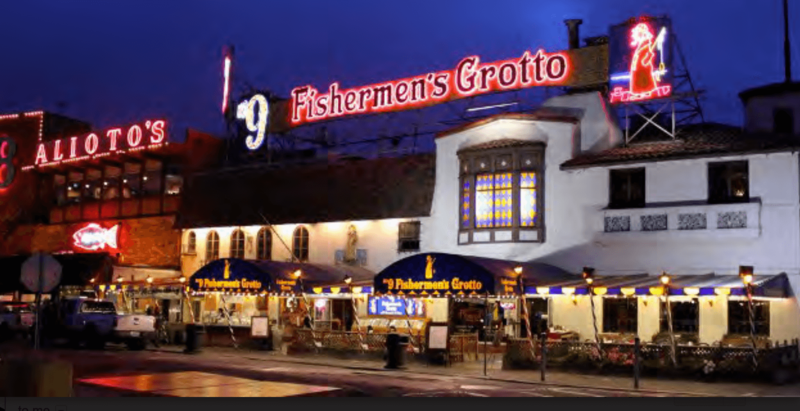 Founded in 1935 by Michael Geraldi, an immigrant fisherman from Sicily, Fishermen’s Grotto transformed from a small fish stand into a 20,000-square foot San Francisco landmark and became the first full-serve restaurant on the Fisherman’s Wharf. The restaurant was passed down through three generations of Geraldis and within the last few years brought in around $7 million in annual revenue, but age, rising seafood prices and the next generation’s lack of interest in the business led the family to put Fishermen’s Grotto on the market. Rick, a third generation Geraldi family member, enlisted Bay Area restaurant broker Steven Zimmerman of Restaurant Realty Company to represent the sale of the business. After assessing the restaurant and performing a thorough valuation, Steve listed the restaurant for sale on BizBuySell for an asking price of $5,950,000. Unlike most other restaurant transactions, whoever purchased the Fishermen’s Grotto would have to earn the approval of multiple family members. In the fall of 2016, local Bay Area restaurateur and native Chris Henry came along. No stranger to buying family businesses (including Tommy’s Joynt in San Francisco and Barrel House Tavern in Sausalito), Henry leapt at the opportunity to preserve one of San Francisco’s historic buildings. Fisherman’s Wharf attracts over 10,000,000 visitors per year. As a kid growing up, Henry frequented the Fishermen’s Grotto and when the time came to own a piece of San Francisco history, his gut instinct told him to pursue the restaurant sale. In the end, Henry couldn’t pass up the rare opportunity and purchased Fisherman’s Grotto in October of 2016. The deal transferred the property’s current lease, which expires in 2036. For Henry, purchasing the Fishermen’s Grotto also meant inheriting the family business’s loyal customers and their expectations for the restaurant. Fishermen’s Grotto represented a huge responsibility and Henry felt it was important to stay true to the restaurant’s roots while making changes to ensure long-term sustainability. In situations like this, getting to know the founding members is more than just a formality – it can help new owners like Henry understand the identity of an organization and reassure family members that they are selling their business to the right person. One way Henry gained the trust of the Geraldi’s was by involving them in the restaurant’s renovation process and seeking their approval before making any major changes. Chris’ previous experience buying another local landmark and family-owned restaurant, Tommy’s Joynt, also gave the Geraldi family confidence that Chris would preserve the tradition and values of the family restaurant. Small business buyers should always pay close attention to the restaurant’s financials and take the time to understand why the owners are selling in the first place. Combing through business financials also informs the buyer how large their financial cushion should be, heading into the transaction. If a restaurant requires extensive renovations, like Fishmeran’s Grotto did, buyers should identify how much capital they need in order to pay for things like rent during the process. Henry recommends working with a trusted broker who is familiar with the industry landscape and can provide guiding advice throughout the process. The Fishermen’s Grotto presented an opportunity to restore a beloved San Francisco institution while also modernizing it to meet the expectations of today’s diners. This can also represent a challenge to owners who have to balance new upgrades with elements that preserve a restaurant’s original identity. “People have been coming [to Fishermen’s Grotto] for many, many years and they expect a certain experience,” says Henry. “It’s my job as an operator to meet those expectations … [while] working within the realm of the historical preservation department.” Henry stresses the importance of cultivating a relationship with the original owners before any changes take place to avoid stripping the restaurant of its values. There will always be a few bumps in the road when a new buyer takes over. But when renovations are involved it can be even more complicated, and Henry came face-to-face with several unexpected legal and physical challenges. Once renovations began in the fall, Henry realized that the sheer size of the building and its location on the pier would be his biggest obstacles in bringing the Fishermen’s Grotto back to life. Half of the restaurant is built over the water and the gradual sinking of the pier has left the floors of the Fishermen’s Grotto uneven, with one section of the building slightly higher than the other. The size of the Grotto was far from the only delay beyond Henry’s control that held up the restaurant’s renovation time table. In addition to the building’s physical challenges, getting a permit from the Port of San Francisco was no easy feat. Historical buildings, like the one the Fishermen’s Grotto is housed in, can require special permits and regulations from preservation or historical societies before owners can remodel. This can complicate the business succession process and extend the time it takes to complete renovations. For Chris, waiting for approval on renovations meant paying several months more rent, as outlined in the lease, without the income originally expected- and in a coveted area like Fisherman’s Warf, rents hover around $28,000 a month. Henry’s preservation plans extend beyond fixing the building’s physical structure. Henry is also installing an organic garden on the roof of the restaurant as part of his plan to update the Grotto’s menu in a more sustainable way. Once the building renovations are complete, Henry plans to bring back some of the restaurant’s original features like the fish market and seafood processing plant. For Henry, Fisherman’s Grotto represents a chance to rebuild a Bay Area institution and has been well worth the challenges that come with such a large project. With the finishing touches underway, the Grotto is expected to reopen within the next couple of months. While previous customers will return with high expectations, Henry is confident the updates to the restaurant’s space, menu and operations will not only satisfy their expectations and revitalize an otherwise fallow Fisherman’s Wharf, but also bring returns on his large investment. For him, the chance to make Fisherman’s Wharf a public space for families and tourists to enjoy is a surefire bet.